All my readers know my involvement in the research conducted on the Tor Network, and in general on the Deep Web. Recently, many events have shocked the Tor community, the revelation on NSA project to track Tor users, the seizure of the Silk Road black market and the arrest of Eric Eoin Marques, the 28-year-old Irishman owner and operator of Freedom Hosting, the principal hosting service within Tor Network. Many security experts, me included, have spent their effort to make more accessible the Tor Network, to crawl its content and realize a sort of search engine to rapidly makes search within not indexed pages. The number of hidden services within the Tor network is impressive, many of them unknown to the majority of the users. Security experts have discovered that the offer of illicit goods in underground websites is very dynamic, on a daily basis new services offer illegal drugs, weapons, hacking tools, and provide other illegal services to its customers. Search them within Tor network is often not so easy, users have to know exactly onion URL of the web resource which is difficult to remember. Grams can be used by Tor users to easily find sites proposing illegal goods including drugs. Grams’ creator, who uses the nickname of Gramsadmin, announced the release of the beta with a post on Reddit. 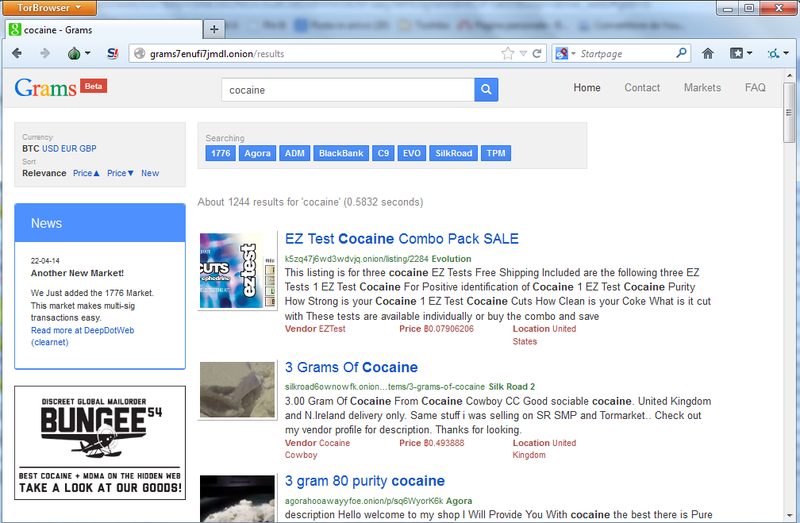 Let’s do a simple search for “cocaine”. Grams layout echoes the look of Google, so all we need to do is to type a term in the search box, exactly like the popular search engine. We must consider that Grams searches for content inside Tor network, the creator has designed a specific algorithm to explore the various black markets. The post that announces the release of the beta version informs that searches include data from The Pirate Market, Mr. Nice Guy and BlackBank. 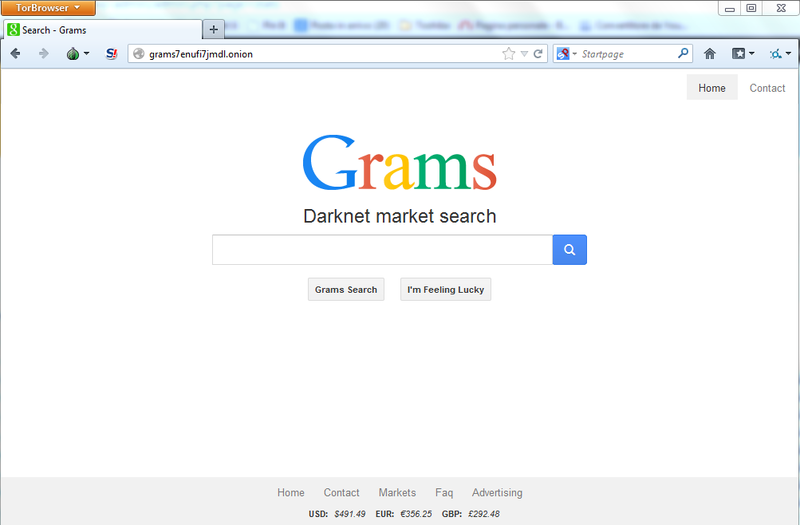 Currently Grams search engine is crawling results from eight different black markets, including BlackBank, C9, Evolution, Mr. Nice Guy, Pandora, The Pirate Market, and SilkRoad2. “We had to disable Agora for now since they have gone offline, but as soon as they are back their listings will start showing up in the search results again.” said GramsAdmin. I have no doubt that the author of Grams will try to expand the capabilities of the platform including data from other relevant black markets. The author has also announced that the Grams will include advertising exactly like Google AdWords. Grams is probably a little light that is trying to make inroads into the depths of the black market.